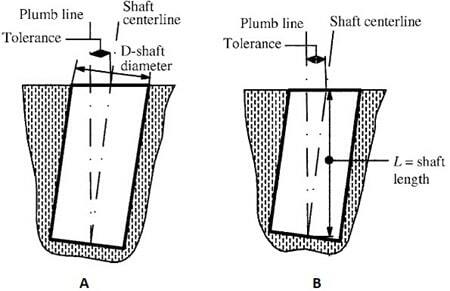 There are different plumb deviation tolerances based on the materials used for foundation construction and material in which the foundation has been constructed. 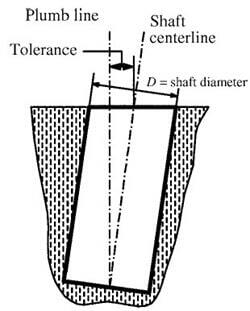 Table-1 provides plumb deviation tolerances. 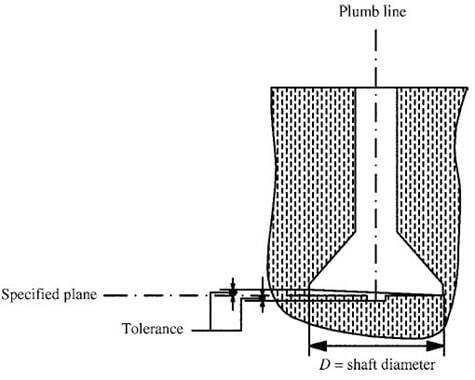 Figure 2 illustrated deviation of plumb. 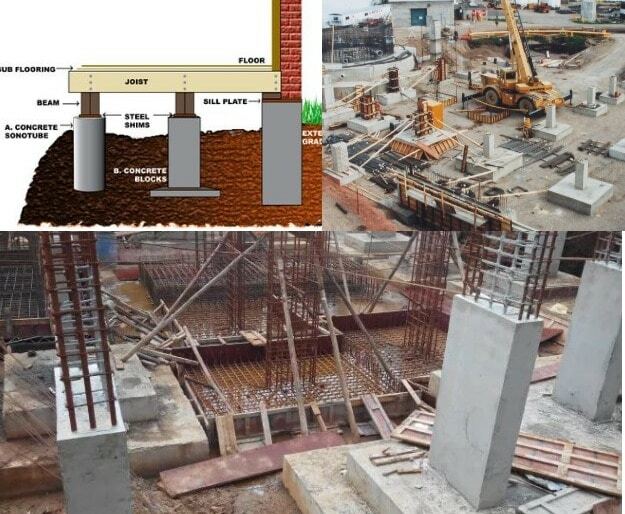 Permissible foundation location deviation is based on the foundation or pier dimension with an absolute limit which depends on whether the foundation carries masonry or concrete. It specifies the location of any point on the top surface of a footing with respect to a determined plane. Table-3 provides elevation tolerances and Figure-4 and Figure-5 illustrate how elevation deviations are evaluated. 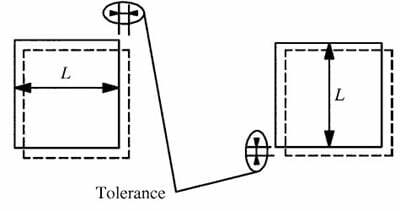 It is the permissible slope of base of bell in case of pier and top surface of footing in the case of footing foundation. 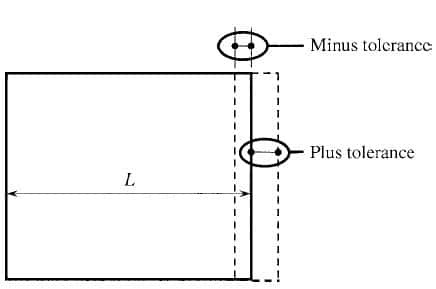 Base of bell pier Smallest of +/-75mm and 10% of bell diameter as illustrated in Figure 6. In this section, allowable errors in the size of foundation would be specified based on the ACI specifications. ACI Committee 117, 2010. 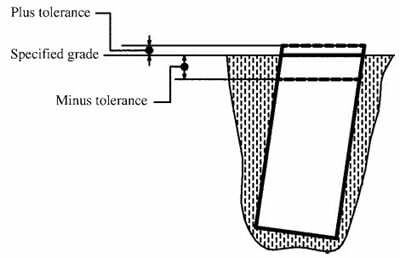 Specification for Tolerances for Concrete Construction and Materials (ACI 117M-10) and Commentary. American concrete institute. Editorial Staff of Concrete Construction , N.A. 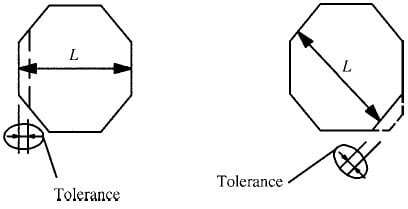 Tolerances in construction. Concrete construction.